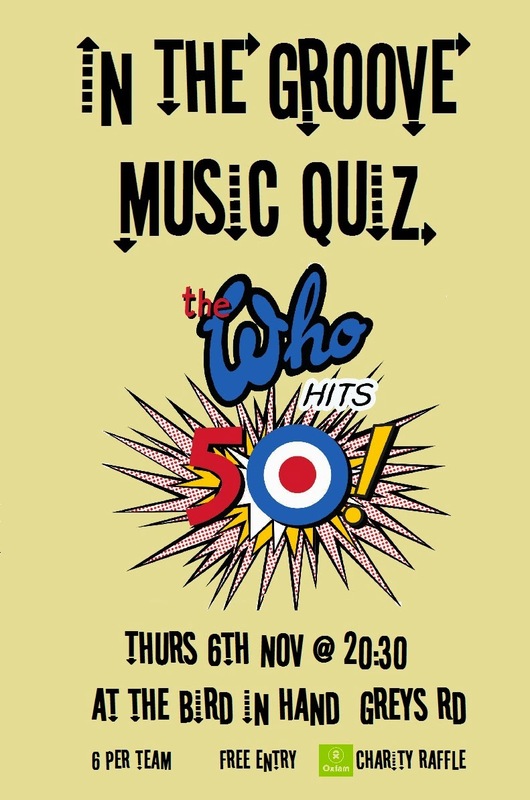 The next In The Groove Music Quiz takes place on Thursday 6th November 2014 at 20:30 at The Bird in Hand. We will be celebrating 50 years of The Who. So get on the Magic Bus and f...f...f...find a way to get there early to get a seat. Accept no Substitute.